Richard is the co-founder and Executive Director of Food Connects. He has been leading food system development work in the Windham County area since 2008. He is a member of the Vermont Farm to Plate Steering Committee as well as the Vermont Farm to School Steering Committee. Richard holds a M.A. from SIT Graduate Institute in Sustainable Development with a focus on Food Security for Vermont, as well as a Graduate Certificate in Nonprofit Management from Marlboro College Graduate School. Berkfield was named one of Vermont’s Rising Stars by Vermont Business Magazine in 2014. He and his family enjoy growing and preparing as much of their own food as possible, though as work demands increase, he better understands the saying that "The cobbler’s children have no shoes." As Food Connects’ Farm to School Program Manager, Kate supports member schools in their efforts to bring Farm to School programming to their students. This includes working with Child Nutrition Professionals to source local product as well as school administration and educators around Farm to School curriculum and school gardens. Kate holds a Master’s degree in Public Health and has been trained as a community organizer and health educator. She has spent ample time working both on farms and in restaurants, so understands the realities of these demanding careers. Before joining the Food Connects team, Kate worked for a prevention coalition based at Leland & Gray and enjoys connecting with youth to promote healthy lifestyle choices. In her free time, Kate enjoys trail running and hiking with her dogs. Former educator at Oak Grove Elementary School, Sheila has been involved in the Brattleboro Farm to School movement since its beginning in 2007. She served as the first Farm to School Program Coordinator for the Brattleboro Town Schools from 2007-2009, and she facilitated the Farm to School committee at Oak Grove School in Brattleboro for the past 11 years. Sheila is excited to work with WSESU schools to make Farm to School programming a vibrant part of each school community in the district. Sheila has an M.Ed. from Smith College and she is passionate about inspiring children to think about where their food comes from and supporting local agriculture. In her spare time, she is also the volunteer executive director of the Haiti Orphanage Sponsorship Trust, which is a vehicle of compassion supporting 35 children in Haiti since the 2010 earthquake. She lives in Brattleboro with her husband and 10 year old daughter, and she enjoys spending time in nature, riding her bike, cross-country skiing, and taking circus classes at NECCA. Alex has spent the last 10 years engaged in food system change: in production, agricultural science and research, international ag development, non-profit ag support, and now local food distribution. Most recently, he managed production of specialty crops at Harlow Farm in Westminster, VT, where he also led commercial kitchen value-added production and coordinated the winter CSA. 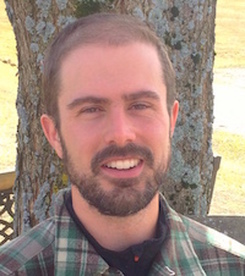 Alex has a Master’s degree in Agroecology from the University of Wisconsin--Madison, where he researched agricultural programs at urban charter schools as well as natural pesticide use in apple production. During his time as a Peace Corps volunteer in Niger, he assisted local farmers and production gardeners in their efforts to develop markets, improve cultivation techniques, and mechanize operations. Before entering the world of food, Alex worked as a software engineer at Intel Corporation. That experience prepared him to tackle logistical and data management problems in distribution using the power of modern technology. On the road four days a week driving for Food Connects, Tracy plays an integral role in supporting the Food Connects food hubs. He aggregates products from our regional producers and distributes these goods to buyers throughout our service areas of New Hampshire and Vermont. McKenna is the Food Connects Food Hub Operations Manager. Born and raised in Burlington, Vermont, she has worked in various sectors of food retail and the sustainable food and farming industry for the last ten years. McKenna holds a Master’s degree from Vermont Law School in Food and Agricultural Law and Policy and believes that a thriving regional food system is imperative to the economic and environmental sustainability of our communities while also improving access to healthy, affordable food. Before joining the Food Connects team, McKenna served as Editorial Director for Food Tank, a think tank highlighting stories of hope and success within the food system. Prior to that, she worked for the Rutland Area Farm and Food Link, where she managed Farm Fresh Connect, a direct-to-consumer, online local foods market serving Rutland country. In her free time, McKenna enjoys yoga, snowboarding, hockey, and exploring holistic health. Laura is the Communications Manager for Food Connects. Born and raised in New Hampshire’s Monadnock Region, she has developed a deep-seeded passion for food. Laura holds a Master of Science in Sustainable Food Systems from Green Mountain College and has focused on food systems education for communities and youth, with an emphasis on increasing awareness, knowledge, and access. Laura has a varied experience in food systems working in restaurants, school food service facilities, urban farms, and retail operations. Most recently Laura served as the Events and Outreach Coordinator for the Monadnock Food Co-op. During the summer Laura teaches youth how to cook at MoCo Arts’s Creative Arts at Keene summer camp. In her free time Laura enjoys doing theater and dance, gardening, cooking, and traveling. Karen is a Wilmington Vermont Resident. Karen comes from Food Connects having previously worked in the Finance Offices of World Learning - School for International Training. Karen and her husband own and operate Sunnyfield Farm and Sprague Maple LLC, were they raise sheep, goats, chickens, and turkeys and grow the majority of their food. When not in the Food Connects office Karen operates the sugarhouse farm stand in Jacksonville, Vermont selling maple products along with various farm products. Former Chef; Current Formulation Researcher at New Chapter Inc. Retired Grants Administrator with a lifelong interest in agriculture & home gardening. A lifetime in the food industry: farmer, wholesaler, retailer, food event planner, attended cooking school, worked in the restaurant world, and catering.